Officer Dakoda Hernanadez (left) and Canine Officer Heston. Cocaine, Pills, and Handguns, Officer Makes Dangerous Drug Bust, CORRIGAN, December 22, 2014 - On Sunday evening (December 21, 2014) Officer Dakoda Hernandez with the Corrigan Police Department initiated a traffic stop on a white Honda Civic. The driver gave Officer Hernandez a fake name and date of birth. 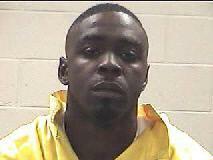 Eventually the driver was identified as Jamarcus Markray, 23, of Ruston, Louisiana. While speaking with Markray, Hernandez noticed that he was shaking and acting very nervous and making furtive movements. When Hernandez spoke with the other passengers of the vehicle and asked them questions about their trip, they gave conflicting stories. 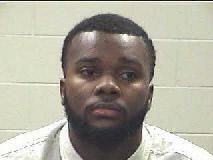 Passenger Damion Ferguson, 20, also of Ruston, stated that it was his vehicle and he let his brother Jamarcus drive them home from Houston because he was sleepy. After speaking with the other passengers it seemed that they were hiding something. Hernandez utilized Canine Officer Heston for a free air sniff. Heston alerted Hernandez that there was possibly narcotics in the vehicle. Heston's alert gave Hernandez probable cause for a vehicle search. While searching the vehicle approximately 2.02 oz of powder cocaine, 43 Xanax pills, and 7 ecstasy pills we located in the vehicle. Additionally, a 25 caliber automatic pistol and a Kimber .45 pistol were also found. Ferguson was arrested and charged with two counts possession of a controlled substance. Jamarcus Markray was charged with possession of a controlled substance and giving fictitious information to an officer.